An Open Letter from the World Business Academy to leading climatologist Dr. James Hansen regarding his advocacy of nuclear power as a solution to global warming. My colleagues and I at the World Business Academy have followed climate activism for many years and its on-going campaign to restrain the coal and oil industries. Research, congressional testimony, and activism by numerous climatologists to address climate change has brought this very real global threat into the public consciousness and set the stage to develop a strategy for preserving human civilization as we know it. A December 2013 study, “Assessing ‘Dangerous Climate Change’: Required Reduction of Carbon Emissions to Protect Young People, Future Generations and Nature,” has further articulated a higher, more urgent imperative for immediate climate remediation. The World Business Academy agrees with the substantive findings from these reports and is firmly committed to implementing the most expeditious path towards (i) eliminating or mitigating all sources of carbon and methane emissions, and (ii) remediating ambient CO2 levels back to pre-industrial levels. After 15 years of research, the World Business Academy has approached this issue from a neutral standpoint and determined that due to cumulative, long-term thawing of the permafrost region and Albedo Effect impacts, the global environment is deep in a negative feedback loop exacerbated by increasing glacial and ice sheet runoff. Even if we were to achieve zero-carbon emissions tomorrow, it would be too late for the global environment to self-remediate within the recognizable future without active human intervention in the form of various geoengineering solutions to supplement a zero-carbon emission approach. CO2 levels are already reaching 406ppm globally and shooting perilously upward on an increasing trajectory. This will prove non-survivable for the mass of humanity trapped by a climate-induced “insanity” that will likely surprise us with its ferocity in challenging human civilization. As was noted in the final finding of fact in the most recent IPCC report, a reduction of CO2 by more than 100% is required to begin to bring the planet back to stability and safety. Without a reversal of CO2 emissions, we are approaching the tipping point where sequestered methane deposits located beneath the ice tundra and ocean depths are exposed, resulting in a massive release (rather than the constant “tickle” we are now experiencing) that will exponentially increase the resources needed to reverse the climate crisis. In short, the human race does not have the luxury of a “do over” when formulating climate strategy. We have to begin reversing the increasing levels of CO2 and ambient methane right now. We are out of time! Given the urgency of climate-related issues, we were nonetheless deeply vexed with the proposal by Dr. James E. Hansen and other climatologists to embrace nuclear power as a viable component in mitigating climate change. As delineated in a joint letter published on November 3, 2013 by Dr. Hansen, Kenneth Caldeira, Kerry Emanuel, and Tom Wigley, it appears that these climate experts may not be as fully informed about nuclear fission as they are about climate change. A letter dated January 6, 2014 has already been sent to this group by The Civil Society Institute and Nuclear Information and Resource Service which was co-signed by over 300 organizations world-wide, rebutting the assumptions set forth in the November 3 letter and presenting arguments against the use of nuclear power to mitigate climate change. The World Business Academy was a contributing signatory to the CSI/NIRS letter and proposes in this communication to expand on those arguments and provide additional reference materials in support of our assertions. My first book on nuclear energy, Profiles in Power, was co-authored with Professor Jerry Brown of the Academy and was published in 1997 by the textbook division of Simon & Schuster. From that time forward, the Academy has maintained a permanent research effort on virtually every aspect of nuclear power, has published very frequently on the subject, and has continuously sought solutions for society to mitigate the most harmful side effects of nuclear fission. We are hopeful that further elaboration of the challenges associated with nuclear power will persuade misguided climate activists to embrace more economic, more readily available, and more certain renewable energy technologies which will surpass the nuclear industry’s alleged ability to assist in mitigating climate change without any harmful side effects. All that we ask is a fair and impartial review. Working with leading researchers in the field, the Academy commissioned its own health study examining the impact on the local population from Strontium-90 emissions occurring at the Diablo Canyon nuclear facility. By examining publicly available health data broken out by zip code, a stark trend emerged: the local population in the hot zone has been getting sicker every year the plant has been operating. Our study demonstrates the urgent need for sincere investigation into the effects of the radioactivity released by the 100 active nuclear reactors in the US and the many hundreds more around the globe. But while we think nationally and globally, we intend to continue to act locally to rid our state of this nuclear nemesis. Next, the trees: nuclear power plants are not “carbon free.” They do not emit carbon or other greenhouse gases as they split atoms during the fission process, but their carbon footprint must be assessed on the basis of their complete nuclear fuel life cycle. Significant amounts of fossil fuel are used indirectly in mining, milling, uranium fuel enrichment, plant and waste storage construction, decommissioning, and ultimately transportation and millennia-long storage of waste. There is plenty of carbon in that footprint that is rarely acknowledged, computed, or mediated. In addition, the nuclear industry’s false refrain that nuclear power plants have no carbon footprint is an attempt to obscure the fact that nuclear power plants’ radiation footprint is far more lethal than the carbon footprint of any other industry. Additionally, the industry’s rhetoric masks the astronomical costs for thousands of years of storage that could be better invested in rapidly developing renewable fuels with a zero-carbon footprint such as solar, wind, geothermal, and Ocean Thermal Energy Conversion, which don’t carry harmful, let alone lethal, side effects. From a business perspective, private investors should be seen as the ultimate ”referees” on competing energy choices, using informed diligence and prudent criteria to determine which energy technologies can compete in the market with the best chance of generating revenues and profits. As Amory Lovins points out, the capital markets have already spoken. Private investors and project finance lenders have flatly rejected large base-load nuclear power plants and have enthusiastically embraced supply-side competitors, decentralized cogeneration, and renewables. Even the existence of massive government guarantees and subsidies are an inadequate inducement for sophisticated investors like Warren Buffet, whose MidAmerican Energy Company (a 2nd-tier subsidiary of Berkshire Hathaway) scrapped plans for a virtually “free” nuclear power plant while having concurrently formed an affiliated subsidiary, MidAmerican Renewables, dedicated exclusively to the development of renewable energy. We believe the reason all sophisticated investors avoid nuclear investments is because no one has figured out how to build a reactor that doesn’t routinely emit toxic levels of radioactivity while still producing power economically, and because there is no safe disposal system known to humanity. The commercial nuclear industry has been around for over half a century, so the prudent approach would be to look at the industry’s track record. Under close examination, we find a string of broken promises, product failures, massive subterranean leaks of liquid nuclear waste (e.g., the Hanford facility), cost overruns, overly optimistic projections, stranded debts, bankruptcies, bond defaults, premature plant closings resulting from bad plant siting and/or accidental radioactive emissions from core reactor equipment failures (e.g., San Onofre), and vast quantities of toxic waste that grows daily primarily in spent fuel pools as inviting targets for terrorism. The above account does not include a series of catastrophic accidents and near-accidents, the most memorable of which are the 1979 near-meltdown at Three Mile Island, the 1986 Chernobyl disaster, and the ongoing leakage from three failed reactors in Fukushima. After decades of subsidies, nuclear power still remains the most expensive and non-competitive form of base power generation that takes decades of lead-time before a single electron is produced. Nevertheless, in attempting to promote nuclear power, industry advocates focus only on certain limited costs for heavily subsidized fuel, labor, materials, and services that are characterized as “production costs.” But these limited costs are only part of the economic picture. The real challenge facing nuclear power becomes clear when “life cycle” production costs are compared, including construction, operations, maintenance, fuel, decommissioning, and millennial waste storage. The serious challenges described above make nuclear technology a very bad deal. Nuclear advocates claim that safety concerns will be addressed by the next generation of new advanced reactor designs that are supposedly “inherently safe.” This appears to be a backhand admission that the first-generation reactors were not that safe in the first place. And, as noted elsewhere herein, after hearing promises of a “next generation” reactor designs for many decades, no such design has appeared that is remotely ready for commercial construction. How long can all the acknowledged ills of nuclear power be cavalierly wiped away by invoking a mythical “next generation” reactor that has never appeared nor is likely to appear? Before rushing to endorse nuclear expansion, regulatory agencies and individual researchers should critically examine past performance and demand experimental proof for claims that the next generation of nuclear plants (should any ever be considered for construction) will be economically viable, climate-friendly, and accident-proof. It is believed that next generation reactors will differ dramatically from current reactors in that they will replace active water cooling and multiple backup safety systems with “passive safety” designs. In fact, many nuclear advocates and news reports inaccurately describe the proposed new reactor designs, such as the pebble-bed modular reactors, as “accident-proof” or “fail-safe;” however, experiments conducted at the THTR-300 modular reactor in Germany led to accidental releases of radiation after one of the supposedly “accident-proof” fuel pebbles became lodged in a feeder pipe, damaging the fuel cladding. After the operators tried to conceal the malfunction and blamed the radiation release on the Chernobyl accident, the government closed the reactor. The U.S. government has previously promised a long-term solution for the storage of high-level radioactive waste, primarily from spent fuel rods, which are still sitting in underwater spent fuel pools at “temporary” reactor storage sites around the country. The Department of Energy’s now-defunct long-term waste depository at Yucca Mountain, Nevada, was mired in scientific controversy, legal challenges, and an admission by all concerned that it wouldn’t prove large enough to contain the waste being created by existing reactors—let alone deal with the radioactive waste from new ones. Because of the lack of federal disposal facilities, highly radioactive spent fuel has to be removed regularly from the reactor core and “temporarily” stored in on-site water-filled cooling pools. While a variety of disposal methods have been under study for decades, there remains no demonstrated solution for effectively isolating and storing nuclear waste from the environment for many thousands of years. Meanwhile, high-level radioactive waste continues to build up at 65 reactor sites in 31 states in spent fuel pools without reinforced containment buildings that are vulnerable to accidents and terrorist attacks. “Renewable energy sources like wind and solar and biomass cannot scale up fast enough to deliver cheap and reliable power at the scale the global economy requires.” Renewable energy sources, such as wind, solar, and geothermal, are imminently scalable when combined with hydrogen fuel cell technologies to store and transport the energy they create. Renewables do not require the enormous planning and construction timeframes that plague nuclear units. Renewables are not prone to cost overruns, are cheaper to build and operate than nuclear plants, and produce power with zero-carbon emissions. As such, they represent the least costly and least risky investment opportunities. In fact, Jacobson and Delucchi have argued persuasively in a November 2009 Scientific American article that “Wind, water and solar technologies can provide 100 percent of the world’s energy, eliminating all fossil fuels.” In fact, our experience to date with renewable sources of energy is that their economies of scale and abundant status ultimately drive the cost of energy down over time, as opposed to finite fossil fuels and undeveloped fourth-generation nuclear energy technology. In addition to all the other insurmountable challenges of using nuclear fission to create energy, the percentage of global energy supply generated by nuclear has actually fallen significantly in the recent past and shows every likelihood to fall even further in the coming decade. Over the last decade, renewables and combined-heat-and-power systems (cogeneration or distributed power) actually overtook nuclear power generation. The former, by 2010, represented 18% of the world’s electric generation while nuclear represented a mere 13%. Wind power and photovoltaic supply sources have become particularly strong growth sources of renewable energy. Since 2000, the annual growth rate for global wind power has been 27%; for solar PV 42%. From 2002 to 2012 in the US, nearly 50,000 megawatts of wind were installed. Currently, the US installs a solar system every four minutes. That’s expected to grow to one new system every minute by 2015. And the numbers are accelerating. Two-thirds of all distributed solar systems have been installed over just the last 2 ½ years. By 2016, Greentechmedia research projects the US will have one million residential solar PV installations. Worldwide solar is expanding at a feverish pace. In four decades, 50,000 megawatts of solar PV were installed globally. But an additional 50,000 were added just over the last 2 ½ years while panel prices have fallen 62%. By 2015, another 100,000 megawatts are projected to be installed. In 2012, almost half of all generation capacity additions in the U.S. were renewable. In January of this year, all capacity additions were renewable. Most of that was wind and solar PV. From January through September last year in the U.S., 961 megawatts of wind and 1,935 megawatts of solar PV were installed. No nuclear additions occurred. Why slow down these two dramatically effective sources of energy by allocating many billions of dollars per year to “develop” more nuclear resources that cannot be quickly deployed given various siting issues (long lead time, environmental safety, etc.) that will continue to keep nuclear bottled up and in decline in all modern, western industrialized nations? Nuclear power hasn’t seen the same success as its renewable competitors for the public’s cash. Its percentage of global energy generation dropped 7% from a peak of 17% in 1993 to 10% in 2012. Currently, 14 countries are building 66 nuclear reactors worldwide. Forty-four of them are being constructed in China, India, or Russia. Nine of the 66 have been listed as “under construction” for 20 years; four for 10 years. Forty-five of them have no start-up date and 23 have experienced significant, protracted construction delays. All the renewable technologies such as wind, photovoltaic, so-called “Power Towers” (commercial-scale arrays of mirrors to create base power from solar exposure), and geothermal are mature and can be deployed immediately, given the requisite political will, whereas “next generation” nuclear reactors are still in the theoretical stages and have yet to produce a working scalable prototype. Indeed, according to the Office of Nuclear Energy estimates, “Some of these revolutionary designs could be demonstrated within the next decade, with commercial deployment beginning in the 2030s.” That’s clearly far too late to assist with reducing carbon emissions if we want to avoid mass calamity. Nuclear energy’s technological deficiency did not go unnoticed by former Vice President Al Gore, a former supporter of nuclear energy, who recently modified his position and said the current state of technology in the nuclear energy industry did not yet warrant a big expansion. Where will we be with climate change by the 2030s if we can’t, even by the most optimistic assessment from industry advocates, begin to build significant numbers of new plants? We can’t wait that long to act. Renewables are here today. They are proven, today. They are particularly desirable now that we have all the technology we require to store 100% of the power from renewables in the form of gaseous hydrogen for use by stationery and mobile fuel cells. Furthermore, it is the Academy’s considered opinion that the days of constructing centralized base load power systems of any type are over, and the future of carbon-free energy production lies in decentralized systems. Rapidly accelerating the integration of gaseous hydrogen and hydrogen fuel cells into the grid allows for a decentralized power structure that can both work with, or independently from, the current electric power infrastructure. This feature is particularly important when 1) converting an existing modern grid supplied electrical system in phases; 2) in scaling power systems for emerging third-world countries that cannot easily accommodate power grid infrastructure; or, 3) supplementing renewable energy with hydrogen and hydrogen fuel cells that can provide both storage capacity and grid stability. “Innovation and economies of scale can make new power plants even cheaper than existing plants.” The historically consistent record of nuclear reactors for over 50 years is exactly the opposite — they have gone up each year in cost and have never achieved economies of scale or brought prices down. To our knowledge, no evidence supports the proposition that either innovation or “economies of scale” will result in cheaper nuclear power in the future and, as noted earlier, no functional design exists (or is on the drawing board) that will lead to reduced costs for nuclear energy in the foreseeable future. The economic challenge facing nuclear power becomes clear when one faces the fact that its “life cycle” production costs, computed on a per kilowatt-hour basis, are several times that of coal, natural gas, and wind — not including the ultimate-waste disposal costs which remain unknown because no approved disposal system exists in the U.S. Even if we decided to replace all fossil-fuel plants with nuclear reactors — leaving cost issues aside — it would not be technically possible to build them quickly enough to meet even the modest targets of the Kyoto Protocol. In the U.S., up to 1,000 new reactors (nearly 10 times the current base) would be required at a cost of about $1.5-trillion to $2.0-trillion, based on industry estimates of $1,500-$2,000/KW for new nuclear plant construction. In fact, Alvin M. Weinberg, former director of Oak Ridge National Laboratory argues that, in order to make a serious dent in carbon emissions, it would take perhaps four times as many reactors as suggested by the MIT study, or up to 4,000 reactors. In terms of upfront capital costs, an August 2013 analysis by Lazard is revealing. Whereas new nuclear construction stands at an average of nearly $7,600 per kilowatt, new onshore wind and solar PV (whether rooftop or utility scale) is much lower. Wind ranges, according to Lazard, between $1,500 to $2,000 per kilowatt and the high price for solar PV (rooftop) is assessed at $3,500 per kilowatt. Even offshore wind (which receives little to no subsidies from the US government) is competitive with new nuclear power units at an estimated $4,050 per kilowatt. Although the levelized cost of solar PV (the average cost over its lifetime) is estimated to be larger than Lazard’s estimated nuclear levelized cost, no one actually knows the final cost of a new nuclear plant in the U.S., and, given constant construction delays, if any can be built. Onshore wind and solar PV reached the cost threshold depicted by Lazard over the last decade or less. And their costs continue to decline. In fact, in the last four years estimates are that onshore wind and solar PV’s average lifetime costs have dropped 50%. The trend is well recognized by Wall Street analysts. For instance, Citi Research declared in the fall of 2012 that solar was already cheaper than retail electric rates “in many parts of the world…” Citi analysts wrote, “The perception of renewables as an expensive source of electricity is largely obsolete…” Best of all, we can construct these proven resources at a rapid pace even as we bring additional geothermal and Ocean Thermal Energy Conversion (OTEC) resources on line. The supply is limited only by our will to make the conversion to renewables our chosen path. The amount of energy that can be created at increasingly lower costs is virtually limitless with very little lead time (e.g. a new wind farm can go from siting to full production in 6-9 months). “Quantitative analyses show that the risks associated with the expanded use of nuclear energy are orders of magnitude smaller than the risks associated with fossil fuels.” While this assertion may be accurate on its face, it is in fact a red herring: choosing between nuclear and fossil fuels is like comparing death by hanging or by firing squad. The real question concerns the comparison between the associated cost and risks from a massive increase in nuclear power plant construction to the risks related to a similar expansion of renewable energy and hydrogen economy technologies. I think you would agree that there is little to no risk from renewable energy. Conversely, there remains significant exposure from nuclear power, even from highly theoretical fourth generation plant technology which claims to result in reduced waste, higher efficiencies and lower exposure to the surrounding population, but is not remotely ready for commercialization at this time. Mr. Jaczko’s sentiments are reverberating throughout Japan, whose citizens are feeling first-hand the devastating consequences of nuclear disaster. As reported in The Guardian: “Since Fukushima, a forceful grass-roots movement has grown to permanently decommission all of Japan’s nuclear power plants. The prime minister at the time of the earthquake, Naoto Kan, explained how his position on nuclear power shifted: ‘My position before 11 March 2011, was that as long as we make sure that it’s safely operated, nuclear power plants can be operated and should be operated. However, after experiencing the disaster of 11 March, I changed my thinking 180 degrees, completely … there is no other accident or disaster that would affect 50-million people—maybe a war, but there is no other accident can cause such a tragedy.’ Prime Minister Abe, leading the most conservative Japanese administration since World War II, wants to restart his country’s nuclear power plants, despite overwhelming public opposition.” In response to the widespread unrest, the current administration also enacted a controversial state secrecy law that has been used to suppress dissent and transparency concerning the true impacts from the Fukushima meltdown. In response, independent volunteer groups such as Safecast have gathered their own radiation data through crowdsourcing Geiger readings from Fukushima to Tokyo. After three years, their data shows that radiation levels in Tokyo (200 km. away) have increased 50% since Fukushima. The World Business Academy plans on employing similar techniques to monitor Fukushima impacts along the western US coastline. All evidence concerning the social and environmental impacts of Fukushima must be weighed before Mankind “goes all in” on nuclear energy. While we at the World Business Academy agree with Dr. Hansen’s overall assessment concerning higher standards and the need for action, we believe that the vast resources and time needed to build new nuclear plants on a scale to meaningfully reduce carbon emissions would be better allocated towards the expansion of various renewable energy sources in tandem with hydrogen storage and transport systems. If the impact Dr. Hansen seeks is an expedited and meaningful reduction in global greenhouse gas emissions, the fastest, most economically viable and safest course of action is an all-out effort to ramp up renewable deployment. With the support of the private sector, the growth and innovation in the renewable energy sector will lead to unprecedented adoption of the technologies critical to the future of our species. If a business fails, the owners face bankruptcy. If nuclear power fails, the world faces radioactive poisons, nuclear terrorism, and the specter of a dangerous future filled with bomb-rattling nations and regional nuclear arms races. We face incalculable expense and unlimited danger dealing with ever-greater quantities of highly toxic radioactive waste that remains deadly even in small quantities for millennia. Our civilization immediately needs to deploy on a massive scale non-fossil fuel energy sources that (1) are safe, renewable, non-toxic, and increasingly inexpensive (as deployed quantities increase), and (2) can begin supplying vast amounts of sustainable energy on a fully distributed basis (i.e., where creation and utilization are both distributed). Given growing demand and limited resources, the U.S. and the nations of the world should invest in the best global energy solutions rather than try to resurrect the failed nuclear option. Efficiency, biofuels, renewables, and hydrogen could revitalize our nation and our planet economically, environmentally, and geopolitically, while ensuring a safe future for all. We at the World Business Academy are working to realize that vision and are preparing a plan, reminiscent of JFK’s 1961 “Moonshot Challenge,” to make the state of California carbon-free within 10 years of implementation. Under our plan, scheduled for publication in 2014 in conjunction with hearings before the California Public Utilities Commission, an infinite supply of wind ($0.08/KW) and geothermal ($0.10/KW) energy will be converted into hydrogen at a cost of $7.50/kg, or approximately $3.25/gal equivalent. Concurrently, chemical and catalytic technologies would be pursued to extract carbon from the atmosphere, and to solidify those deposits into plastics for beneficial use. Should California, the world’s 8th largest economy, successfully meet this challenge, we believe the world will follow. Even though the current energy system is entering its sunset years—in fact because of it—our basic findings are overwhelmingly positive. Civilization has already survived, indeed prospered, through several profound energy transformations: from muscle power to wood; from wood to coal and whale oil; and most recently from coal and whale oil to petroleum and natural gas. We firmly believe it is within our collective power and wisdom to call forth the leadership needed to replace fossil fuels, minimize and eventually stabilize climate change, create a stronger and more secure global economy, and spread wealth to poor nations. In closing, I emphasize that all of us engaged in the fight to mitigate climate change are on the same side, and our only difference lies in what we see as the best path forward for humanity. Unfortunately, we do not have the luxury of pursuing multiple paths towards a solution given the accelerating timeline identified by climate research and the finite human, physical, and political capital at our disposal. We would love an opportunity to discuss these issues with Dr. Hansen and his associates in detail and collaborate on ways to advance our mutual goals regarding climate change. By engaging in a constructive dialogue, we can develop the synergies to realize the kind of “heroic achievements” needed to save humanity from itself. Hansen J., Kharecha P., Sato M., Masson-Delmotte V., Ackerman F., et al. (2013), “Assessing ‘Dangerous Climate Change’: Required Reduction of Carbon Emissions to Protect Young People, Future Generations and Nature,” PLoS ONE 8(12): e81648. doi:10.1371/journal.pone.0081648, December 3, 2013. Summerhayes, C.P., Cann, J.W. Wolff, E.W., et al, “An addendum to the Geological Society Statement on Climate Change: Evidence from the Geological Record,” The Geological Society, December 2013. Greenhouse gas emissions accelerate despite reduction efforts; Many pathways to substantial emissions reductions are available, Press Release: Intergovernmental Panel on Climate Change, April 13, 2014. IPCC, 2014: Summary for Policymakers, In: Climate Change 2014, Mitigation of Climate Change. Contribution of Working Group III to the Fifth Assessment Report of the Intergovernmental Panel on Climate Change [Edenhofer, O., R. Pichs-Madruga, Y. Sokona, E. Farahani, S. Kadner, K. Seyboth, A. Adler, I. Baum, S. Brunner, P. Eickemeier, B. Kriemann, J. Savolainen, S. Schlömer, C. von Stechow, T. Zwickel and J.C. Minx (eds.)]. Cambridge University Press, Cambridge, United Kingdom and New York, NY, USA. IPCC, 2013: Summary for Policymakers. In: Climate Change 2013: The Physical Science Basis. Contribution of Working Group I to the Fifth Assessment Report of the Intergovernmental Panel on Climate Change [Stocker, T.F., D. Qin, G.-K. Plattner, M. Tignor, S. K. Allen, J. Boschung, A. Nauels, Y. Xia, V. Bex and P.M. Midgley (eds.)]. Cambridge University Press, Cambridge, United Kingdom and New York, NY, USA, p. 26. 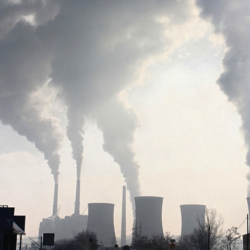 “Top climate change scientists’ letter to policy influencers,” CNN World, November 3, 2013. Civil Society Institute/Nuclear Information and Resource Service, Letter dated January 6, 2014. The World Business Academy was the only business group that participated as a state-authorized Intervener in the hearings which lead to the permanent closure of the San Onofre reactor in Orange County California on June 7, 2013, and continues to appear before the California Public Utilities Commission (“CPUC”) as an Intervener seeking to recover $1.5 billion dollars from Southern California Edison for its extraordinary overcharges to ratepayers and for its failure to tell the truth to either the CPUC or the Nuclear Regulatory Commission (“NRC”) regarding the substitution of faulty steam generator units that were not “like kind” exchanges. The NRC in late December, 2013 issued a citation against Southern California Edison unmasking its illegal conduct. Joseph J. Mangano et al., “An unexpected rise in strontium-90 in U.S. deciduous teeth in the 1990s,” The Science of the Total Environment, December 2003, 317:1-3: 37-51. See also Joseph J. Mangano et al., “Infant death and childhood cancer reductions after nuclear plant closing in the U.S.,” Archives of Environmental Heath, 2003, 58(2): 74-82. For further studies, see Sternglass, Ernest, J., “Articles, Scientific Papers, Books, Letters, and Selected Testimony Relating to the Health Effects of Ionizing Radiation,” Radiation and Public Health Project. Mangano, Joseph, MPH, MBA, Report On Health Status of Residents in Sa Luis Obispo and Santa Barbara Counties Living Near the Diablo Canyon Nuclear Reactors located in Avila Beach, California, World Business Academy website, March 3, 2014. The so-called “pebble reactor” has proven to be both uneconomical in design, and in beta testing, unreliable as a means of keeping the fuel “pebbles” safely contained within the reactor core. No utility in the world currently has plans to attempt to build such a device. Lovins, Amory B., “Competitors to Nuclear: Eat My Dust,” Rocky Mountain Institute, Newsletter, Summer 2005, p. 26. See Also McMahon, Jeff, “New-Build Nuclear is Dead: Morningstar,” Forbes.com, November 10, 2013. “$1 Billion Nuclear Power Project Abandoned In Iowa,” CleanTechnica.com, June 6, 2013. “Buffett’s MidAmerican Energy Holding Forms Renewables Unit,” GreenTechMedia.com, January 26, 2012. See Also: “Just the Facts: MidAmerican Renewables,” MidAmerican Rewewables website. “Nuclear Power: Still Not Viable Without Subsidies,” Union of Concerned Scientists, 2011, pp. 1-10. “Nuclear Power: Still Not Viable Without Subsidies,” Union of Concerned Scientists, 2011, pp. 7-9. “’Inherently Safe’ German PBMR Covers Up Radiation Accident and Shuts Down,” Nuclear Information and Resource Service. Jacobsen, Mark Z., and Delucchi, Mark A., “A Path to Sustainable Energy by 2030,” Scientific American, November 2009. Lovins, Amory, “With Nuclear Power, ‘No Acts of God Can be Permitted,’” Huffington Post, March 18, 2011. “World Nuclear Industry Status Report: 2013,” Mycle Schneider Consulting, July 2013. “Solar System Installed in US Every 4 Minutes,” Greentechmedia, August 13, 2013. “Chart: 2/3 of Global PV have been Installed in Last 2.5 Years,” Greentechmedia, August 13, 2013. “Office of Energy Projects: Energy Infrastructure Update,” Federal Energy Regulatory Commission (FERC), September 2013. Kelly, John E., Dep. Asst. Sec. for Nuclear Reactor Technologies, Office of Nuclear Energy, “Paving the Path for Next-Generation Nuclear Energy,” May 6, 2013 (para.s 2 & 4). Italics added. The Guardian, January 15, 2014. Hyundai is selling the first commercially available hydrogen powered electric car in California by May, 2014, followed shortly after that by Toyota, Honda and ultimately a year or so later by 6 other manufacturers. See “Hyundai to offer Tucson Fuel Cell vehicle to LA-area retail customers in spring 2014; Honda, Toyota show latest FCV concepts targeting 2015 launch,” Green Car Congress, November 11, 2013. Curtin, Sandra, et al, “The Business Case for Fuel Cells 2012,” pp. 1-4, Fuel Cells 2000. In fact, long distance transmission lines are not only destroyed by the increasing pattern of forest fires in the Western USA, they are often determined to be the cause of the fires themselves which then rage out of control in remote parts of the forest. South Korea has begun installing and using such large base power fuel cell generators. See Dixon, Darius, “Another U.S. Clean Energy Generator Finds a Home Abroad,” New York Times, June 24, 2010. Weinberg, Alvin M., “New Life for Nuclear Power,” Issues in Science and Technology, Summer 2003. “Levelized Cost of Energy Analysis – Version 7.0,” Lazard, August 2013. “Analysis: 50% Reduction in Cost of Renewables Since 2008,” Cleantechnica.com, September 11, 2013. “Shale and Renewables: A Symbiotic Relationship,” Citi Research, September 12, 2012. Sovacool, Benjamin K., et al, “Comment on ‘Prevented Mortality and Greenhouse Gas Emissions from Historical and Projected Nuclear Power’,” [dx.doi.org/10.1021/es401667h], Environ. Sci. Technol. 2013, 47, 6715−6717, p. 6715, para. 4 (see footnotes infra). “Part I: AP IMPACT: US Regulators Weaken Nuke Safety Rules,” AP, June 2011. “The NRC and Nuclear Power Plant Safety in 2012: Tolerating the Intolerable,” UCS, 2012. Strickland, Eliza, “Former NRC Chairman Says U.S. Nuclear Industry is ‘Going Away’,” IEEE Spectrum, October 10, 2013. See also the following video: “Gregory Jaczko: Dangers of Nuclear Power in New York,” The Fukushima Daiichi Nuclear Accident: Ongoing Lessons, https://www.facebook.com/FukushimaLessons, October 8, 2013. Wald, Matthew, “Ex-Regulator Says Reactors Are Flawed,” New York Times, April 8, 2013. Chairman Jaczko served as Chairman of the NRC from May 2009 to May 2012. Goodman, Amy, “Fukushima is an ongoing warning to the world on nuclear energy,” The Guardian, January 16, 2014. “Volunteers Crowdsource Radiation Monitoring to Map Potential Risk on Every Street in Japan,” DemocracyNow.Org, January 17, 2014. See Also, Safecast website. Kharecha, Pushker A. and Hansen, James E., “Prevented Mortality and Greenhouse Gas Emissions from Historical and Projected Nuclear Power,” [dx.doi.org/10.1021/es3051197], Environ. Sci. Technol. 2013, 47, 4889−4895, p. 4893, para. 7. Rinaldo S. Brutoco is the founder and President of the World Business Academy, a non-profit business think tank established in 1987 with a mission to (i) explore the role and responsibility of business in relation to critical moral, environmental, and social issues of our day; (ii) inspire the business community to assume responsibility for the whole of society; and (iii) assist those in business who share our values to take greater responsibility for positive social outcomes from business initiatives. The Academy’s projects and numerous publications take on today’s challenges including environmental degradation; the shift away from dirty energy and toward clean, renewable energy; and the existential threat posed by climate change. The Academy also has an active Energy Task Force that has been working continuously on these issues since 1997, while Academy Fellows, representing some of the best and brightest men and women shaping today’s global landscape, have analyzed, reported and predicted the transforming paradigm shifts in business and society.